This week we celebrate one of our favorite holidays, Thanksgiving! The one time a year that we are allowed to stuff ourselves like a turkey and not feel too guilty about it in the end. For our Turkey Day post we're going to channel our inner Martha Stewart once again and share tips on how to make your Thanksgiving extra special. While all the focus is normally on the food (as it should be), we paper dolls certainly have a great number of things to be thankful for this year. We are thankful for our wonderful families & friends, our health, our loyal readers, and, of course, finding beauty in simple things like place settings, serving dishes, and decorations, among other things! So, while you ponder over what you will be thankful for this year, take a look at some things we found that can help make your Thanksgiving even more enjoyable! While Thanksgiving isn't exactly a five-course meal (more like one neverending course) sometimes it helps to serve "appetizers" first in order to keep your guests satiated while carving that big turkey. We love serving roasted butternut squash or pumpkin soup before the big meal, and a friend of ours suggested serving it in mini pumpkin bowls. Just scoop out the insides, add in soup, and you have a bowl that is both functional and lovely. 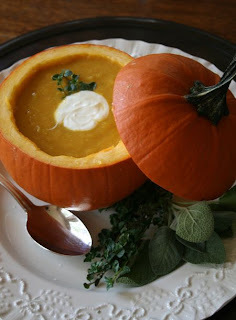 Sticking with the squash theme, be creative when making your table settings! 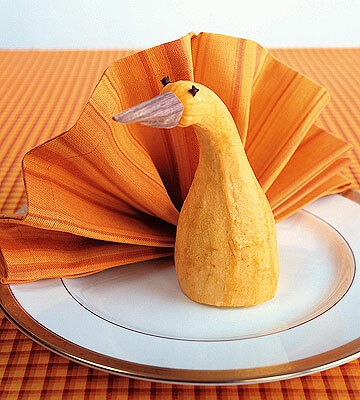 We love this turkey squash, because it's easy to make and very cute. Just find some well-shaped gourds, fold up a napkin, and voila! This is also a great way to keep the kids busy while you're busy prepping the meal, which is definitely a big help. Centerpieces certainly help to beautify your dining area. For Thanksgiving there are many options to choose from such as pumpkins, gourds, bunches of wheat, leaves, candles, a cornocopia, etc. Any of these things would be perfect for your harvest celebration! We particularly like the charming look of the table above with the simple, colorful maize centerpiece and vintage tablecloth! 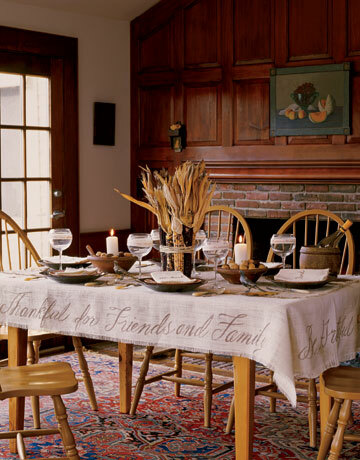 And, speaking of tablecloths, we had to steal at least one idea from our girl Martha. 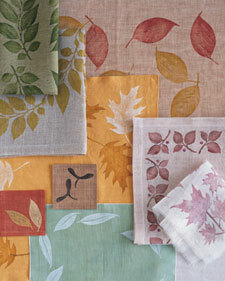 Check out these lovely printed linens! If you're feeling crafty, and want to really personalize your table, you can hand stamp your own linens for a look that is totally charming! Pottery Barn always has the cutest plates for Thanksgiving. 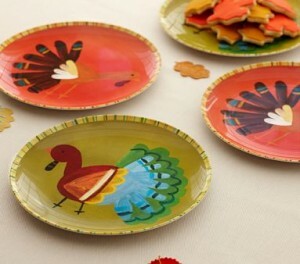 While these dishes are sold through PB Kids, we wouldn't mind serving all our guests on these colorful turkey plates. Unfortunately, they're all sold out online, so run down to the nearest PB and stock up! 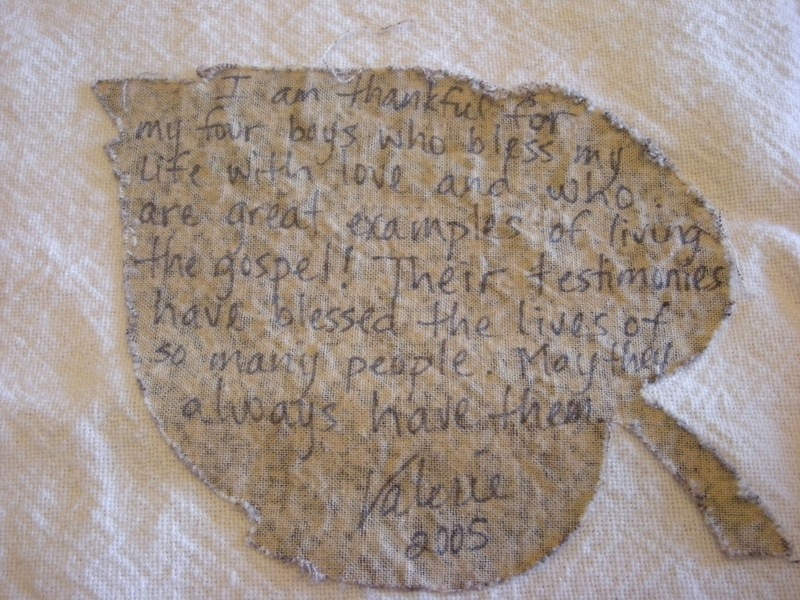 Start your own Thanksgiving tradition by having your family write down what they're thankful for this year. Have them sign it and mark the year, and slowly you'll get a wonderful collection of Thanksgiving memories. Save it in an album or make a tablecloth by stitching on a new leaf every year and share these memories with your loved ones each Thanksgiving. Sitting at the kids table shouldn't be a punishment! 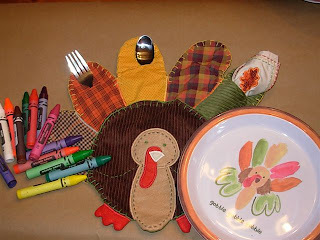 Cover the kids table with brown paper, throw in some crayons, construction paper, and scissors and let the kids make their own decorations! They can color on the table for once in their life without getting into trouble, and you can give them Thanksgiving themed projects (turkey hands, pilgrim hats, etc.) It will save you a lot of time and energy, and it will keep the kids occupied while the turkey is cooking. But, the grown ups table can be a little more sophisticated. 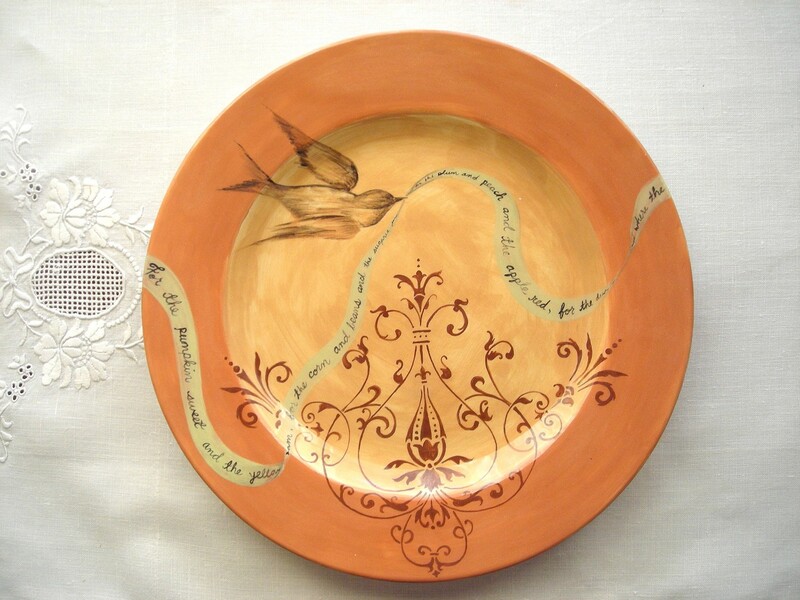 We think plates like these by would be lovely for serving your holiday dinner! Not only are they whimsical and charming, but they would also serve as a beautiful conversation starter for your guests to get them sharing what they're thankful for! If you have a big Thanksgiving, you'll probably have a ton of leftovers. Bloggers Rex and Regina inspired us with their post about sending leftovers home in style! Rather than fishing for unmatched tupperware, plan ahead with cute cardboard boxes, ribbons, and card tags to provide your guests with their very own Thanksgiving-to-go. While we look forward to this Thanksgiving with our families, it's important to remember there are many people out there who may not have a Thanksgiving this year. 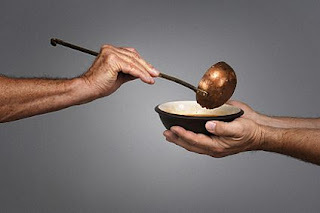 We may write about our preferences for linens and centerpieces but we are sensitive to the fact that there are plenty families all around us who worry about important things like where they will sleep or where their next meal will come from. We know times are tough, but we ask that you please consider donating some time, some food, or some money to your local food bank or soup kitchen and help makes someone else's holiday special too. In the end, isn't that what the holidays are all about? Great post! I'm glad you shared a link to the food bank; it's important to be reminded of how lucky some of us are that we can afford to stuff ourselves like turkeys while others in our community go homeless and hungry. Hopefully this can encourage some of us to take some action to help those in need. Putting brown paper on the kids table with crayons etc. 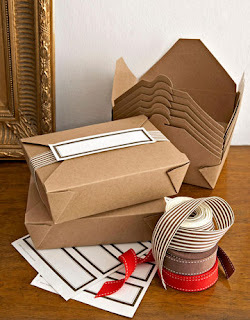 is a great idea! Reminds me of macaroni grill, haha. I'll have to remember this for when there are little kiddies at our Thanksgiving!